We started the year looking at the blog posts that got the most love on our site, and found that Nashville real estate fans seemed drawn to modern architecture. 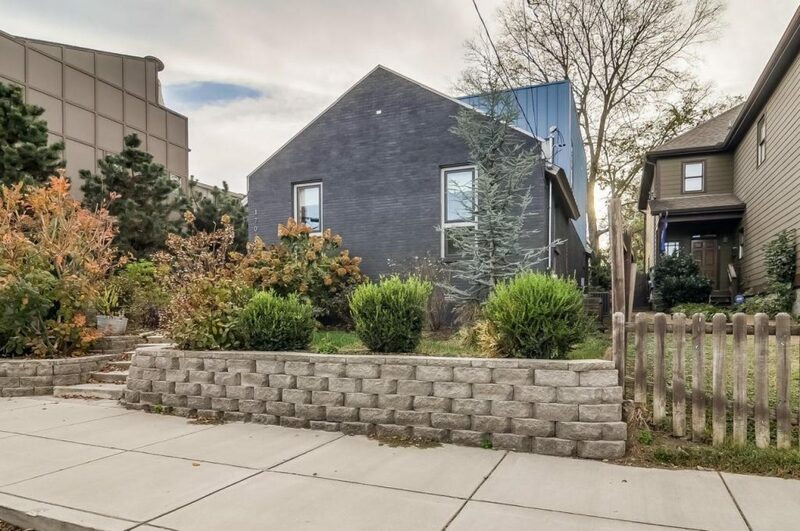 Which works out, since modern homes in Nashville are popping up more and more lately. 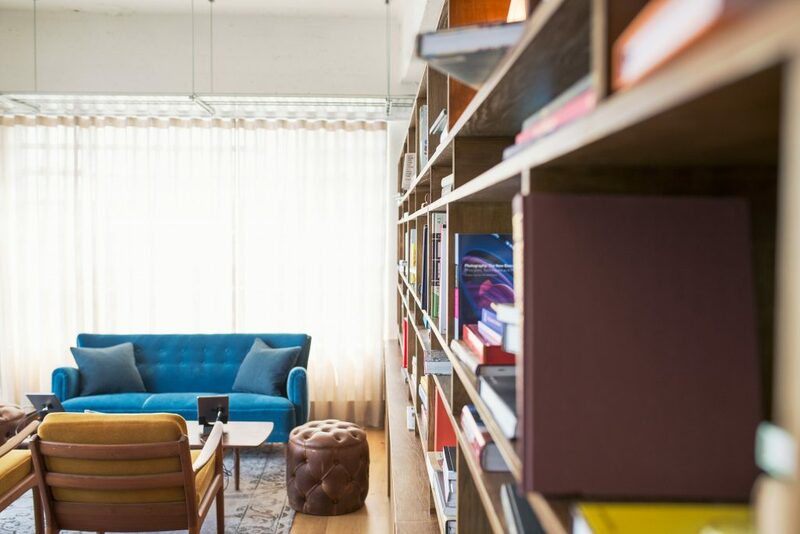 A related note we thought was worth exploring, too: While a lot of us tend to use the terms “modern” and “contemporary” interchangeably when talking about home design, they’re not the same thing. The word might seem to hint differently, but “modern,” in terms of architecture and design, is locked down in the past — we’re talking about the aesthetic elements that rose up in the early- and mid-20th century, stepping away from adornment and more natural textures in favor of sleekness, minimalism, clean shapes and lines, with lots of glass, steel and concrete. Contemporary design, meanwhile, is necessarily more fluid, representing more what’s in the moment, and how design is moving forward now. That said, the homes we dub “contemporary” aren’t just brand new ones, and often do have lots of commonalities with modern homes. We see plenty of glass expanses in contemporary homes too, and geometric shapes and lines. But the approach is less strict and more exploratory, with details that add interest and play with the clean lines — think less obvious angles and curves, materials that add back a little natural influence and, sometimes, big, bold colors too. A focus on marrying the home’s design with its surrounding property is a contemporary touchstone too, and in a place like Middle Tennessee that’s brimming with natural beauty, it’s a welcome place to put attention. In a sense, modern homes are the pendulum swing that’s opposite cozy, rustic design, like farmhouses. Contemporary homes take some of that stark modern framework, and pull in inspiration from less stark places — sometimes even the cozy and rustic. And contemporary design is always moving forward. A really fun example of contemporary design: clean lines with added interest, extra warmth and lots of unexpected detail. The clean kitchen is warmed up with big, warm beams, the sunken living room blends mid-century modern and crafty contemporary cool, and angles and curves throughout give an extra artful and creative vibe. 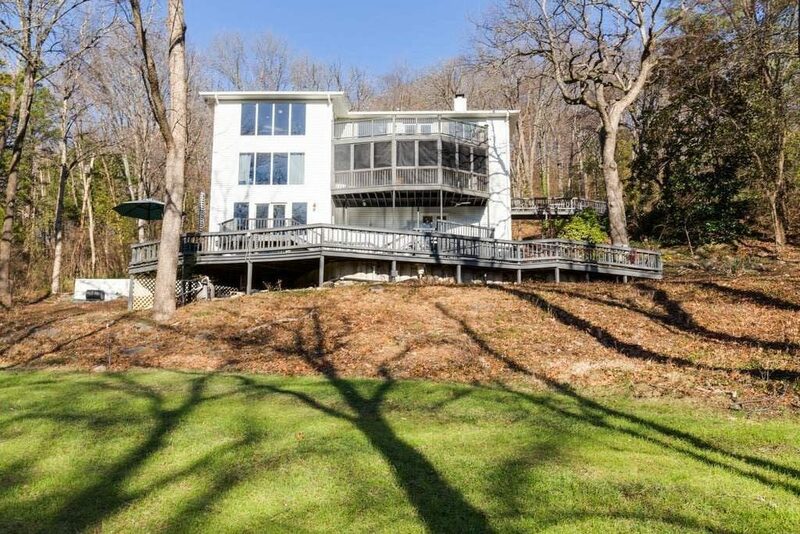 West Meade is a great community, and this is a really unique, cool house. 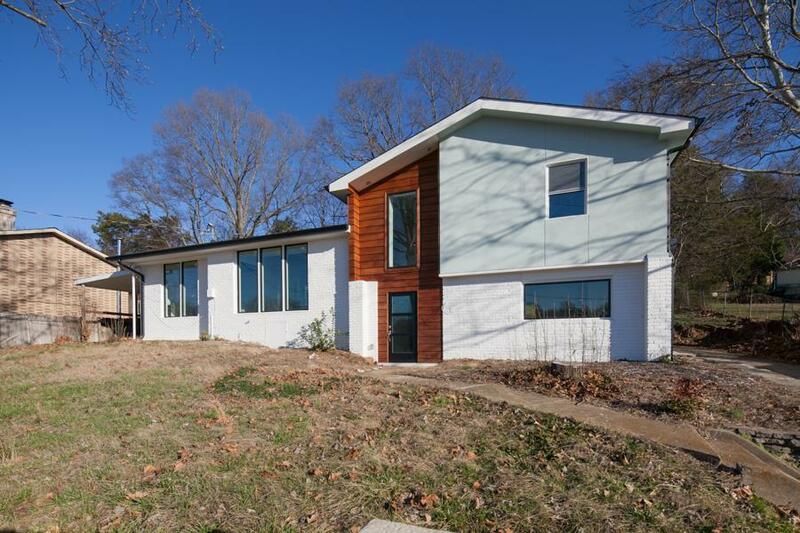 We’ve seen a fair number of renovated historic Victorian homes in the Germantown/Salemtown area; it’s cool when a reimagined historic home comes from and leans in a totally different direction, like this contemporary born of a 1965 duplex. There’s a share of modern lines and materials, but contemporary fun runs enthusiastically, with big colors, super bold custom tile work and an almost total lack of boxy angles. Heading out to Mt. Juliet, this contemporary home has an added benefit that’s hard not to get stuck on: 100 feet of waterfront, and with it, a thoroughly spectacular view. The deck alone earns serious devotion. The interior space has a few modern touches, like metal railings, but by and large it’s really warm and cozy. 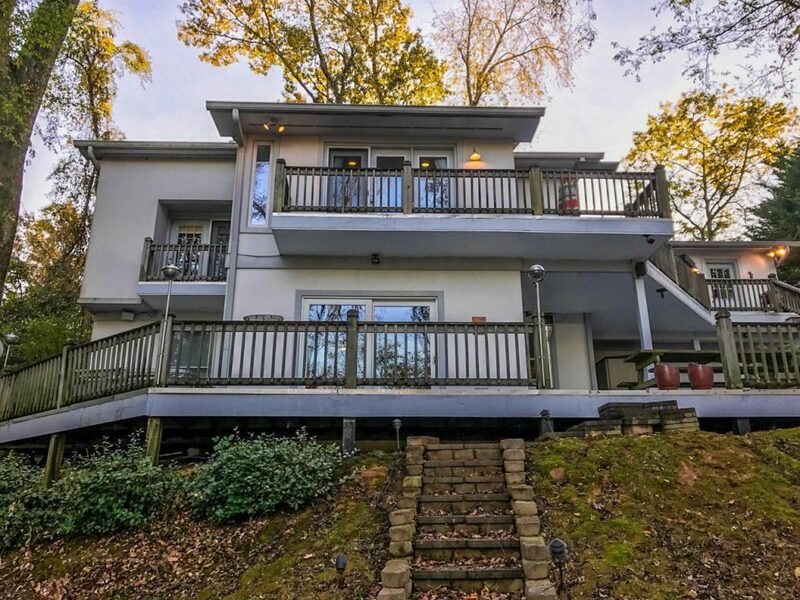 Famed Nashville architect Robert Anderson designed this 1960 contemporary home in Forest Hills — people in the Nashville area who are inspired by modern/contemporary architecture tend to be excited when an Anderson home comes on the market, for good reason. One of the best parts of this 4,833-square-foot home: that huge screened porch and massive wrap-around deck (with pool), both of which give the more geometric exterior some natural warmth. Throughout the home, big windows bring the acre-plus, tree-lined property right inside, too. Inside and out, this newer Belmont-area home (built in 2013) embodies a slew of contemporary touchstones, starting with an impressive blend into the property — it’s not a huge plot of land, but from the expanses of windows to the covered deck, the home is designed to put you in line with peaceful nature and leafy privacy. The home’s sleek but not boxy, clean but cozy, a mix of bright white and cool glass and warm wood and brick, too. Inside, it also plays with big, bold colors — like bright greens and oranges that play in the same space. Curious to see more? 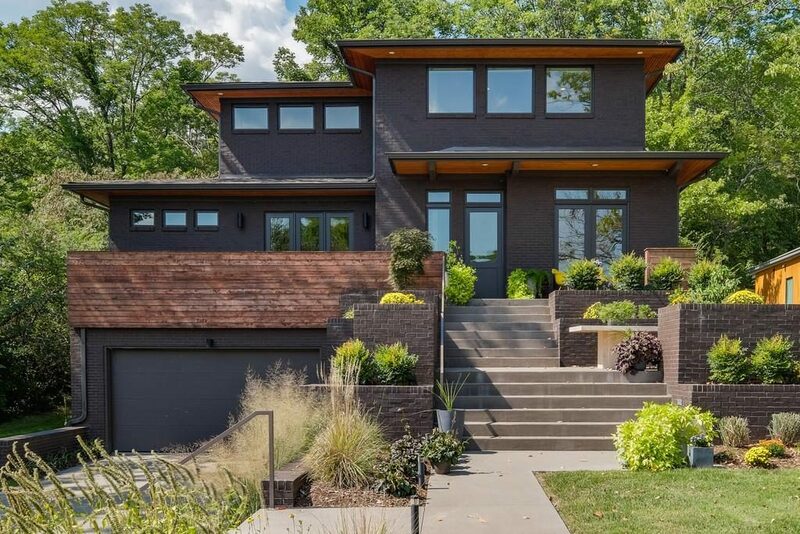 Click here to see some more contemporary homes for sale in and near Nashville. Is contemporary style something you’re focusing on while you look to buy a home in Nashville? We’d love to help you track down the house that suits your style. Give ACRE a call or email, and tell us about your Nashville home search!